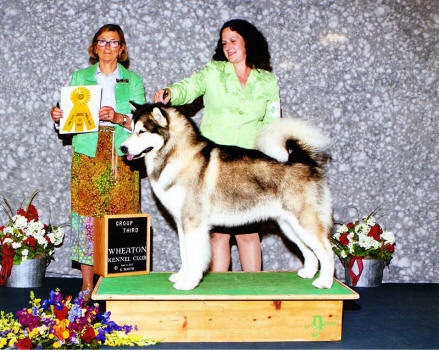 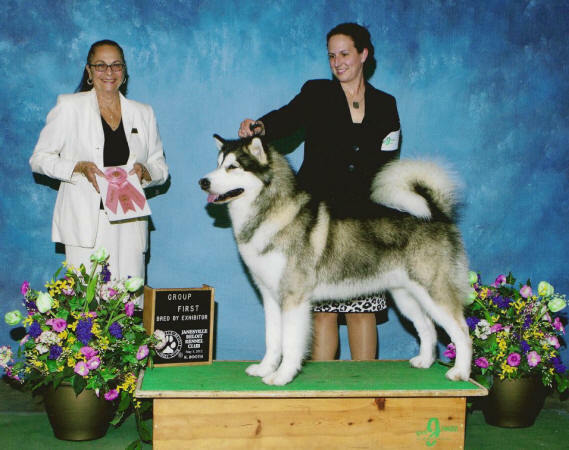 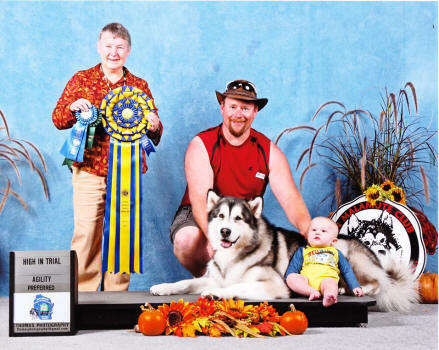 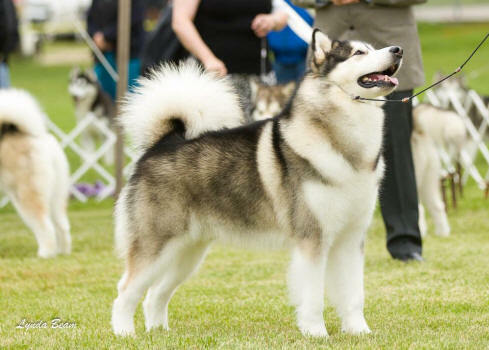 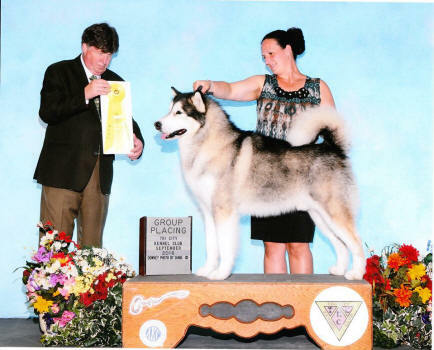 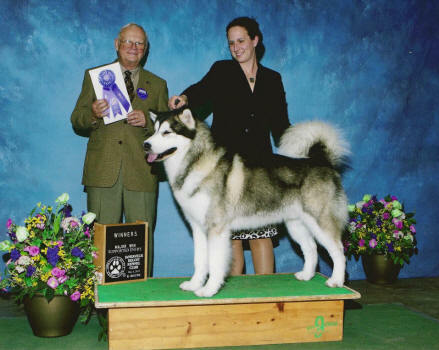 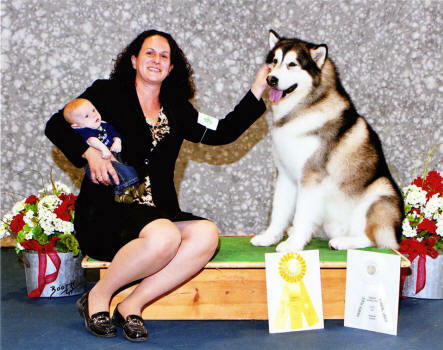 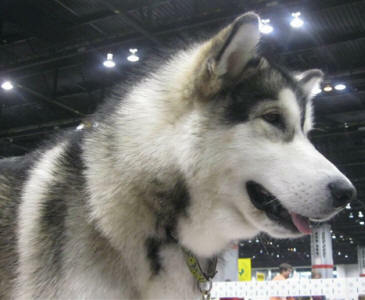 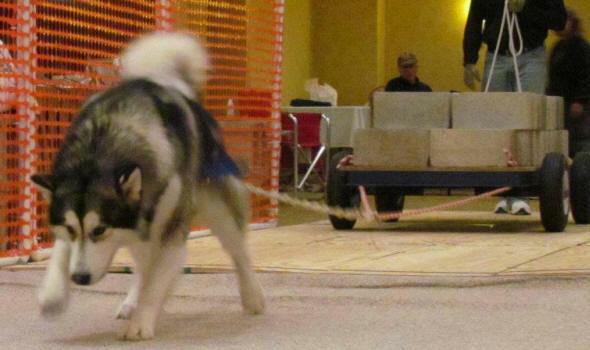 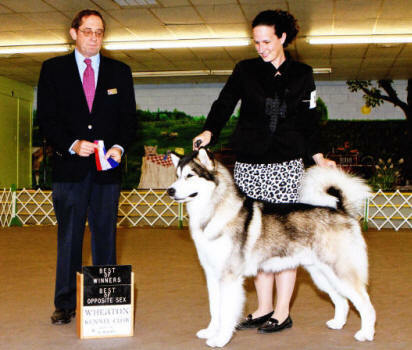 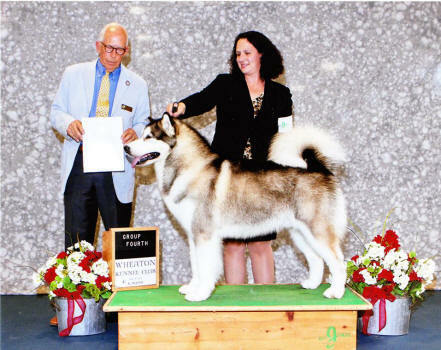 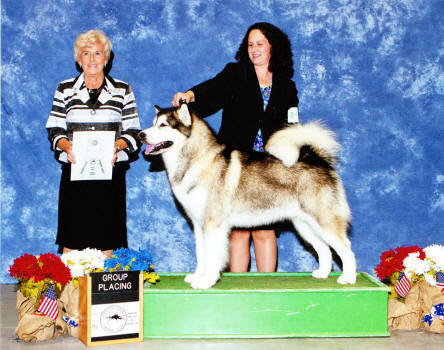 Monty is our first home bred AKC Grand Champion and he also won Best in Specialty Show 2013. 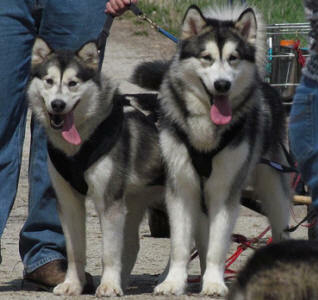 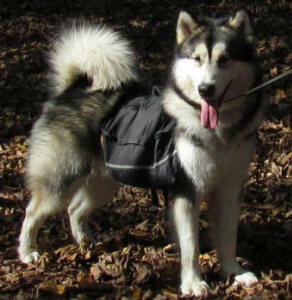 Monty works well in harness, backpacking and in the weight pull chute. 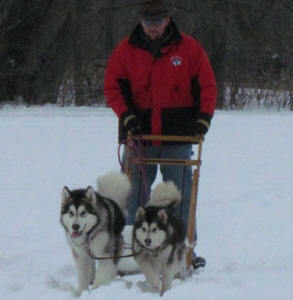 Last but not least, he's our baby sitter at home for both two legged and four legged babies. 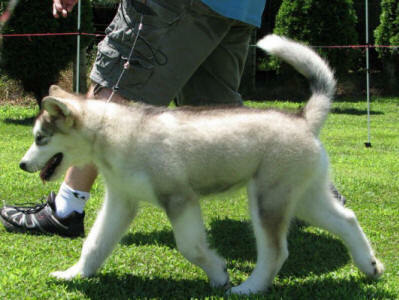 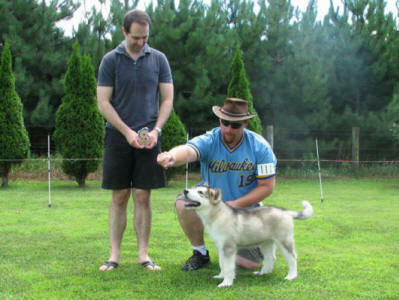 Monty wins Best Puppy in Match out of the 2-4month class at the AMCW picnic.